Posted September 27th, 2014 by & filed under Best Friend Betrayal. Posted July 30th, 2014 by & filed under Disgusting Doggies. Posted May 16th, 2014 by & filed under Disgusting Doggies, Submitted. 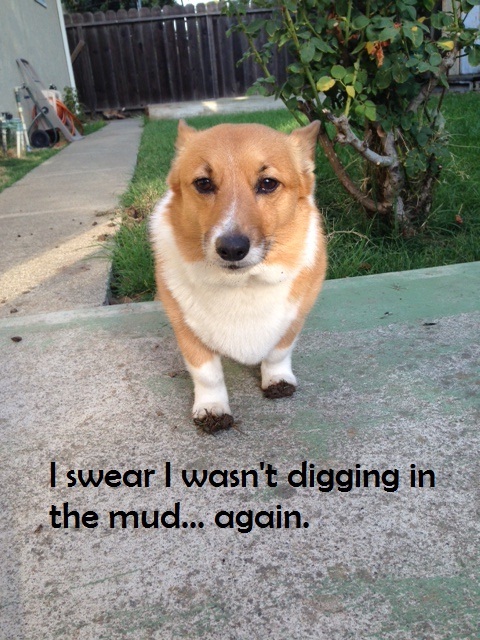 Our Corgi, Lola, got caught digging in the mud, AGAIN! 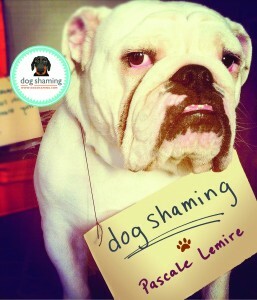 This is what we call the ‘ears of shame’… pinned back out of pure guilt. Posted May 13th, 2014 by & filed under Best Friend Betrayal, Submitted. 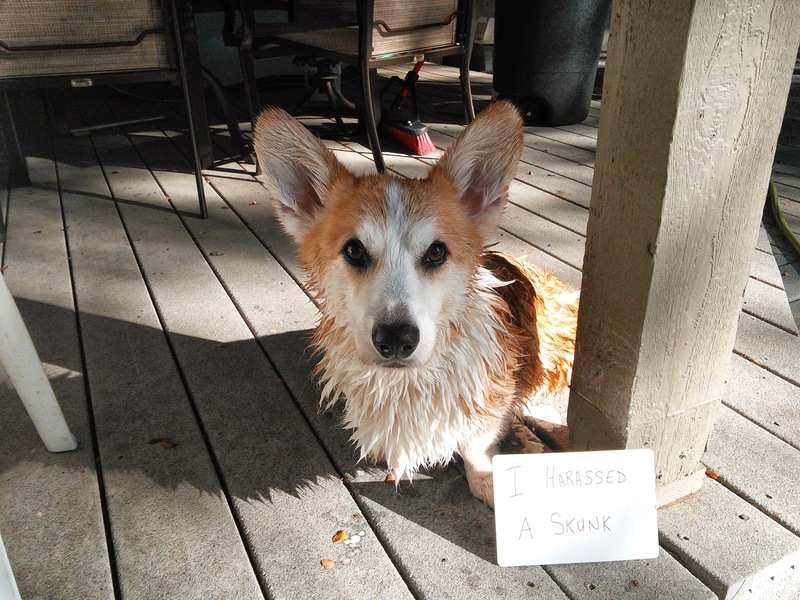 “I harassed a skunk” says Milo, who doesn’t seem to be ashamed of his skunk stank. This is bath number 2 (of 3). 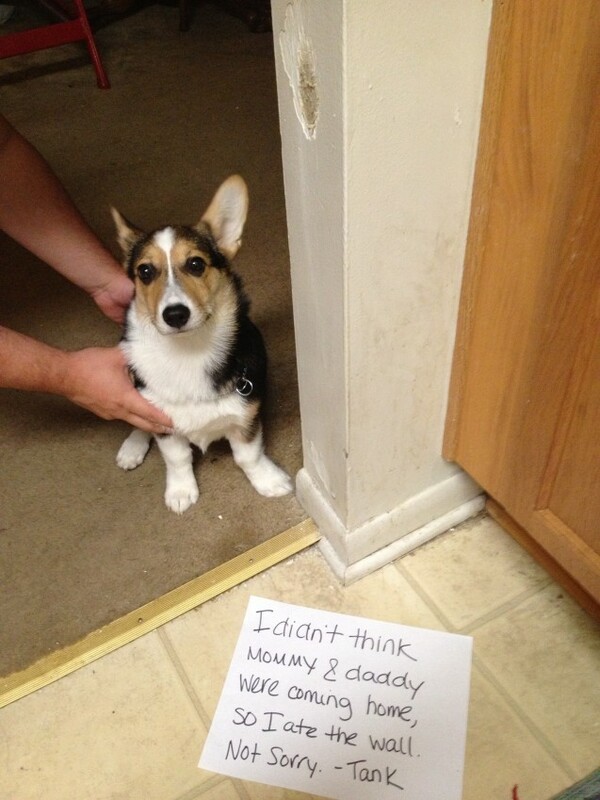 Posted March 21st, 2014 by & filed under Bad Bakers, Disgusting Doggies, Pilfering Pooches, Submitted. 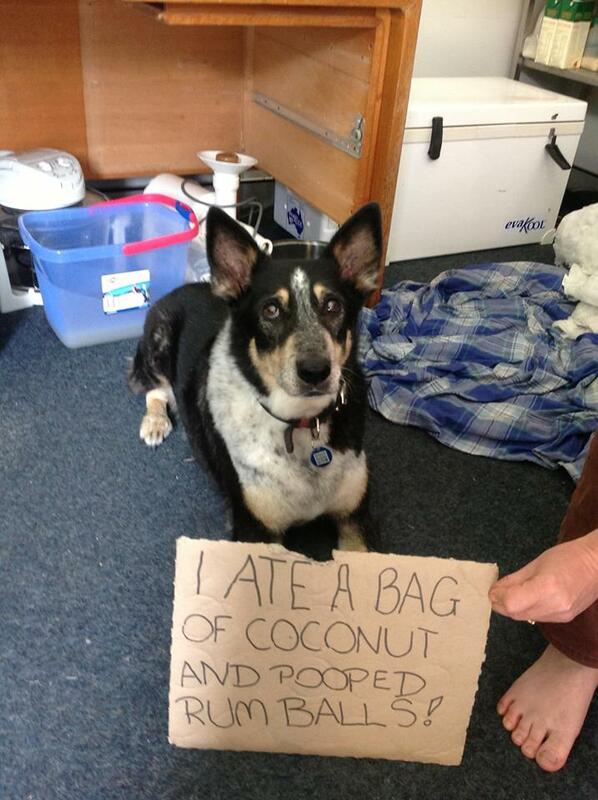 Our dog Boris loves coconut, so much so that the stole a bag of it and ate the whole thing, for days his poops looked like little rum balls! Posted January 18th, 2014 by & filed under Submitted. 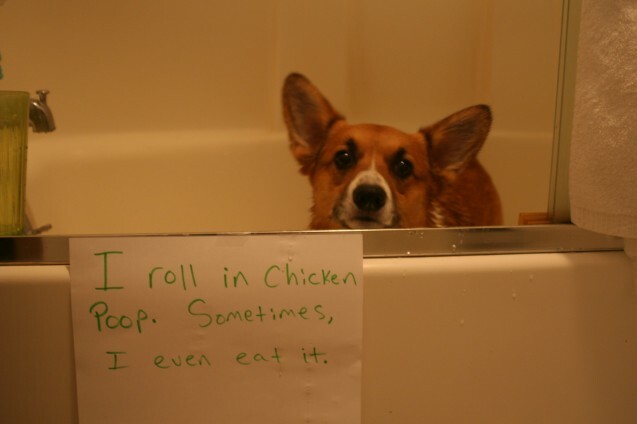 What’s wrong with chicken poop? Posted July 3rd, 2013 by & filed under Disgusting Doggies, Submitted. Fergus likes a nice roll in fresh chicken poop. 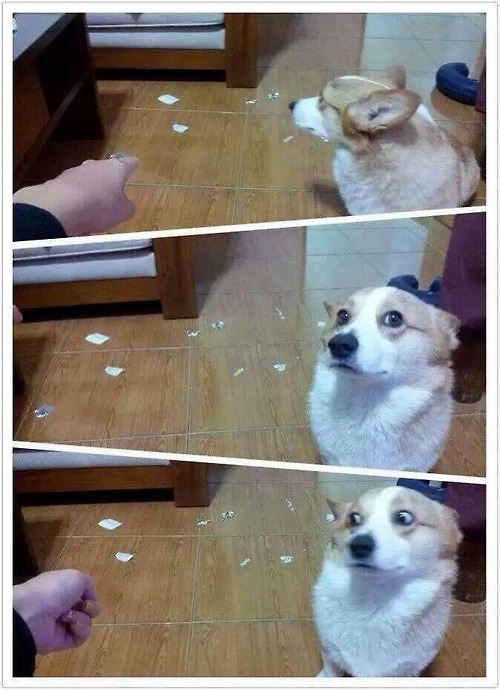 Sometimes he even eats it. Posted June 30th, 2013 by & filed under Bed Hogs, Renovation and Redecoration, Submitted. We left the bedroom door open just once while at work. 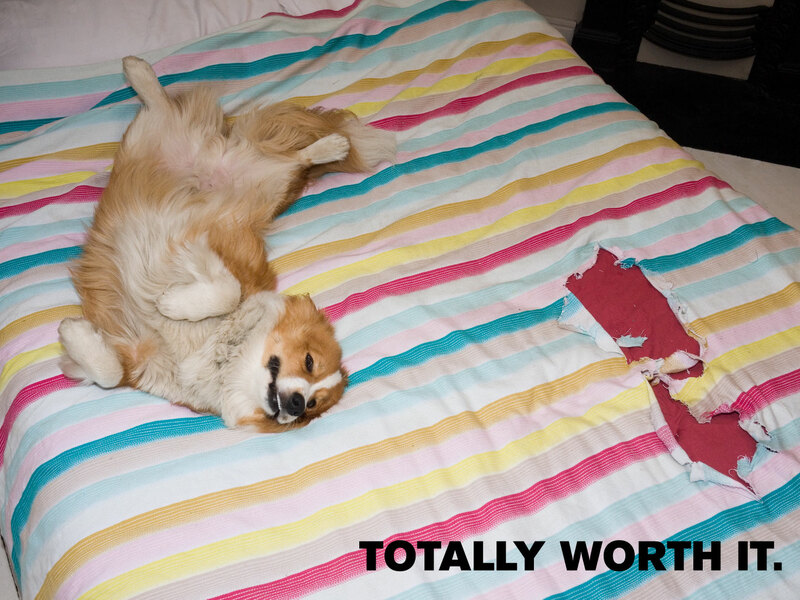 Jones, our 9 month old long haired corgi, was so glad he could help us out by killing our blanket. Well it was described as ‘ice cream’ when we bought it. Jones also likes socks, tissues, underwear and any mail, junk or otherwise. 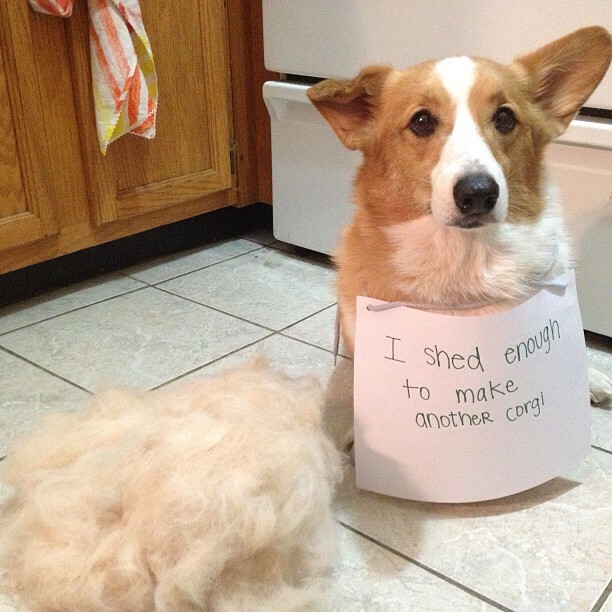 Posted June 3rd, 2013 by & filed under Pilfering Pooches, Renovation and Redecoration, Submitted. Watson likes to make me play fetch instead of the other way around. He hurls the ball as far underneath the couch as possible and starts growling. It starts off very quiet and gets louder the longer I ignore it. 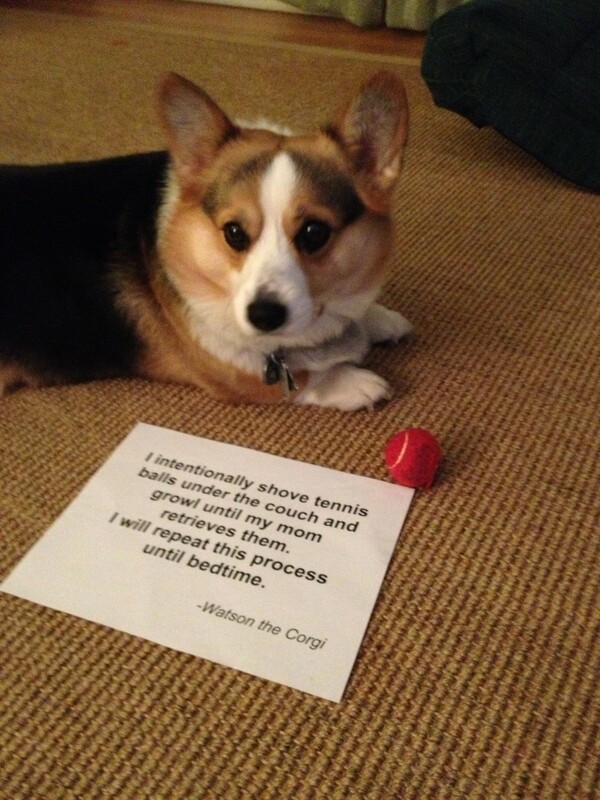 He always gets his way and I always retrieve the ball (like a good dog). Posted May 30th, 2013 by & filed under Submitted. 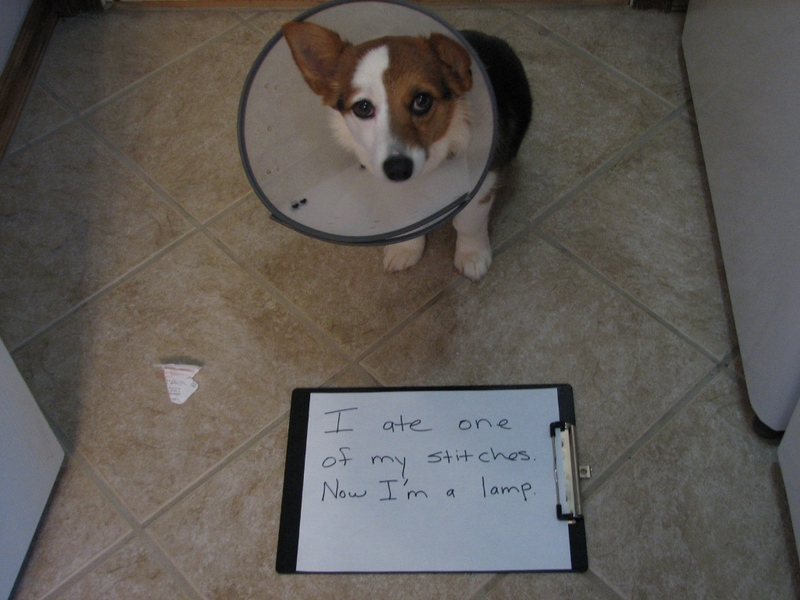 I ate one of my stitches. Now I’m a lamp.